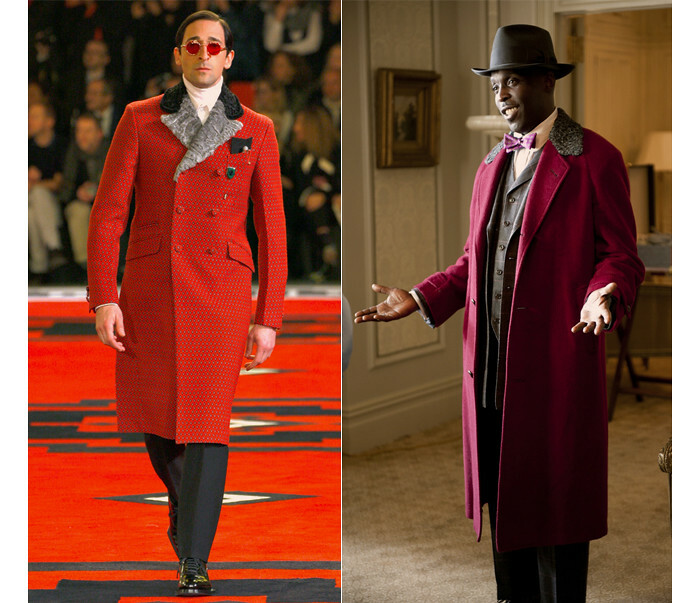 Even though we already saw this coat on last season of Boardwalk Empire I didn't make the connection with Prada until now. On this week's episode Chalky White makes another appearance on his red overcoat with an astrakhan collar detail. I instantly thought of the printed number Adrien Body wore on the Prada catwalk back in January when the FW12 collection was presented. This one was a bit more bold, double-chested and a full bi-colour astrakhan collar. Perhaps Miuccia has been watching the show and feeling inspired?